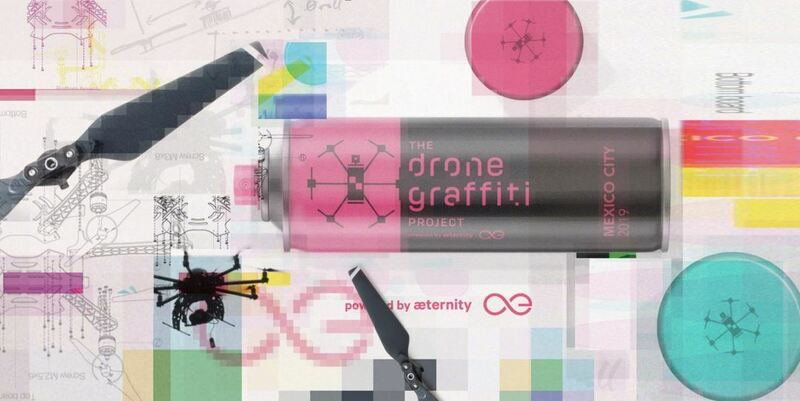 Drone Graffiti is a project that uses modified drones connected to the æternity blockchain to produce street art with graffiti. In Mexico City, the Drone Graffiti Project will create a Live Art installation that will be immortalised forever on the blockchain for the launch of the project, in collaboration with some important art studios and technology startups. 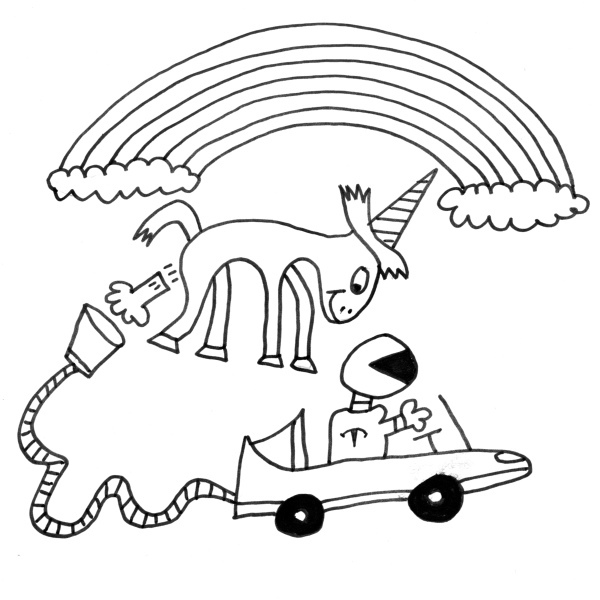 The irreverent image of Tom Edward’s farting unicorn, well known because it is currently used by Tesla, will be reproduced by drones during Art Week in Mexico City from 8th to 10th February 2019. In order to make this possible, state-of-the-art technology has been developed that uses drones capable of drawing graffiti sprays. In this way, it is possible to reach places which are usually out of reach for artists. Street art is often ephemeral, a race against time before walls are knocked down or repainted. Therefore, works are rarely permanent and often have a short life span. The decentralised, uncensored, transparent and distributed public æternity blockchain allows these works to be archived and authenticated indefinitely, making them accessible to a global audience. The blockchain can produce a verifiable unique digital identifier for urban art so that it can be maintained for eternity. Since all information relating to these works of art will be easily accessible to everyone in this way, the aim is to put an end to the risks of fraud. “Urban art has always been a medium for expression, an artistic commentary on the state of the world, a progressive and innovative way to connect via images and words. Urban art also has the tendency to be ephemeral, painted over or otherwise destroyed by the powers that be. So built into the Drone Graffiti Project are ways to make urban art not only unstoppable but permanent and available to everyone, as the art will also be housed on the blockchain”. “To enable a drone to become as the tool for graffiti artists is a technically challenging task, as the drone has to fly near to a wall and the flight path has to create a painting. Compared to other projects where drones are used for swarm management, professional research, or search and rescue operations – the Graffiti drone project provides the opportunity to be a part of a one-of-a-kind project where the technical management of the drone’s flight path has to create art”.